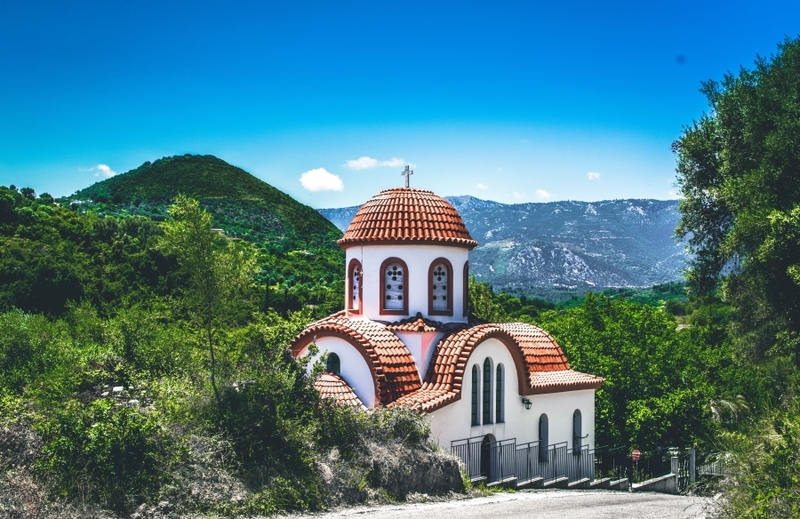 Evia is the second largest of the Greek islands after Crete, and although it's extremely popular with Greeks, it remains a little off-the-beaten-track for most visitors to Greece. It often gets overlooked by guides to the Greek islands as it is connected to the mainland by a short bridge, but it gets missed out of guides to the Greek mainland because it is still an island. 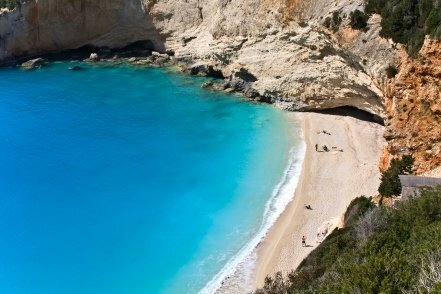 It's one of only two Greek islands we can think of that you can walk to, or drive to without taking a ferry – the other is Lefkas, also connected to the mainland by a bridge. So what does the island have that makes for a great Greek holiday? For a start it feels like that mysterious 'real Greece' that we're all looking to find. It hasn't been spoiled by hordes of holiday-makers, partly because it's not got a lot of good beaches. It does have some impressive mountains, so appeals to people who like hiking or watching for wildlife. Evia, like Crete, is long and thin. It's about 109 miles (175kms) from one end to the other at the longest point, and varies in width from about 30 miles (48kms) to 4 miles (6kms). Its highest point is Mount Dirfys, which is 5,737ft (1,749m) high. 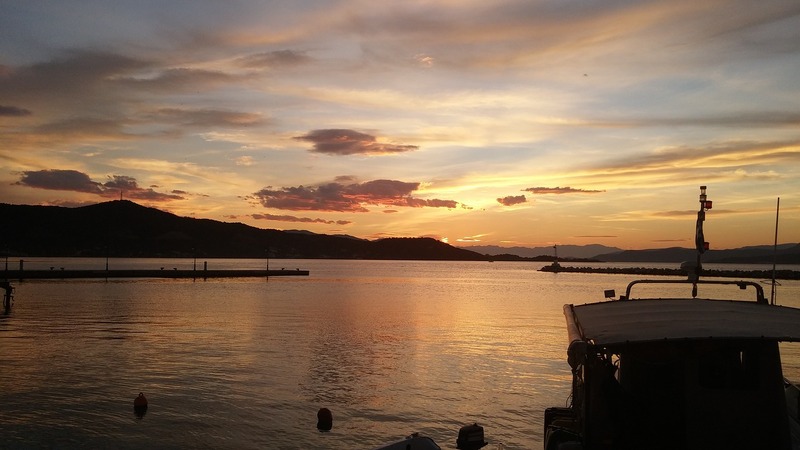 It's also a very fertile island, with lots of orchards and olive groves, and grapes that are said to produce the best retsina in Greece – reason enough to go there, in our view! The capital is Chalkida, which is the closest point to the Greek mainland. It's just 130ft (40m) across at the narrowest point, and the channel is noted for the strange behaviour of its currents. On some days the tide changes direction ten or more times, and on other days not at all. Even the locals don't understand it. The main archaeological site on the island is Eretria, which was destroyed in 87BC. The modern town grew up on the same site, but there are still plenty of places where you can see the remains of the ancient town. There are several other archaeological sites too, although nothing like the number that there are on Crete. 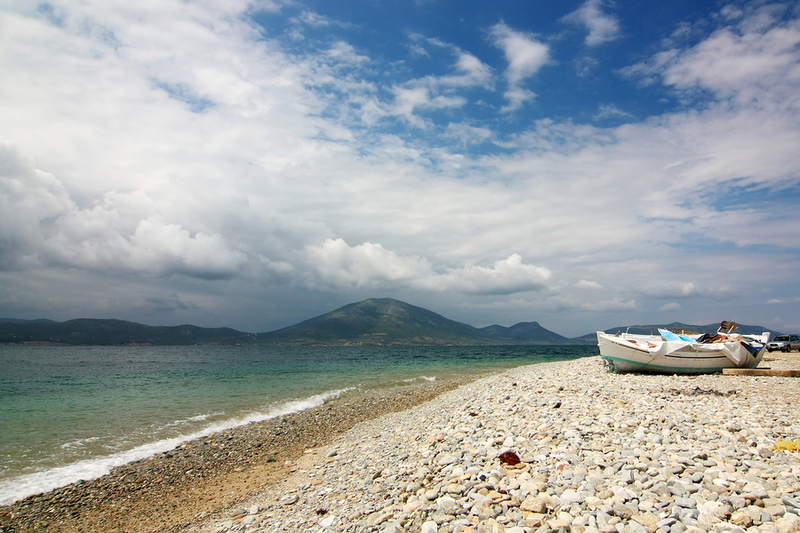 Evia doesn't have Crete's beaches either. But it does have its own wonderful charm, and for most people is certainly one of Greece's travel secrets.